Classic Cape Cod on corner lot in the Highlands. Enter into the large living room with wood burning fireplace adjacent to the formal dining room surrounded by windows for natural sunlight. The updated kitchen features stainless steel appliances/sink and tile flooring. There are two bedrooms and a full bath on each floor with additional storage in the unfinished access areas of the second floor. Hardwood floors throughout. Basement features a 20X20 family/bonus room with a queen size Murphy Bed. Fenced rear yard with aggregate concrete patio. HVAC replaced Spring 2009. 2321 Brighton Dr, Louisville KY 40205 is a Home, with 4 bedrooms which is recently sold, it has 2,063 sqft, <0.25 sized lot, and 1 Car Garage,Detached parking. 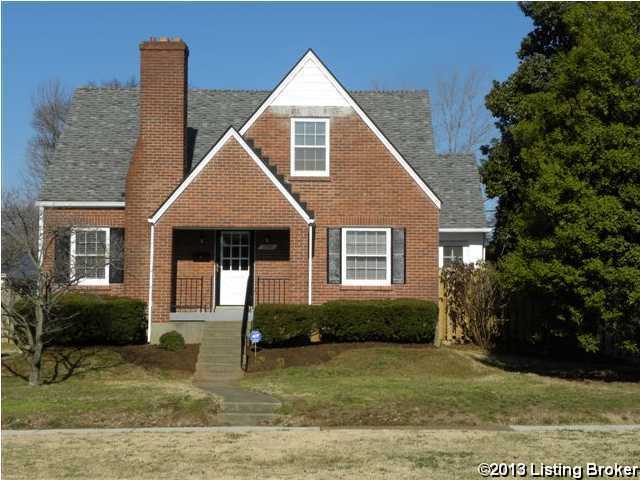 A comparable Home, has 4 bedrooms and 2.5 baths, it was built in and is located at 2328 Brighton Dr Louisville KY 40205 and for sale by its owner at $ 317,400. This home is located in the city of Louisville , in zip code 40205, this Jefferson County Home, it is in the WELLINGTON Subdivision, and Highlands are nearby neighborhoods.